Benchmarked, a new energy blog series, examines local businesses who have used EPA’s Portfolio Manager to track energy use. 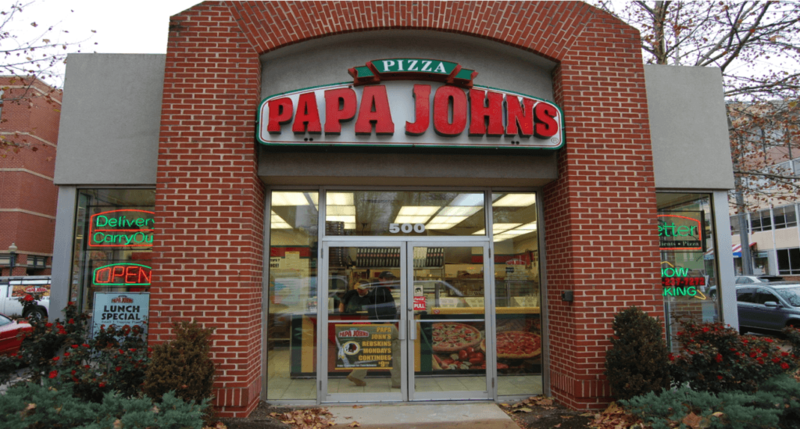 Benchmarked Property Names: Papa John’s Store #668, 11522 Middlebrook Road, Germantown; Papa John’s Store #1435, 13860 Georgia Avenue, Aspen Hill; Papa John’s Store #2809, 3227 Spartan Road, Olney. How many buildings do you manage? Colonel’s Limited (CL) manages 63 Papa John’s stores in Maryland and Virginia. 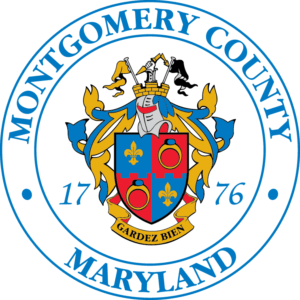 Twelve of the stores are in Montgomery County. What kinds of building uses are in your buildings? Papa John’s stores are quick-service restaurants located in traditional in-line retail neighborhood facilities. When did your company begin benchmarking? CL began benchmarking energy and water usage in its stores in 1998 when it became apparent that there were significant differences in energy and water usage among stores. Unique events that resulted in usage spikes focused the company on managing water and electricity usage. Colonel Bill Freitas and his son, now President Andy Freitas. The Colonel started the business. Why did you begin benchmarking? As an early entrepreneurial company, CL was very cash constrained. Minimizing cost and resource usage was an early company imperative. Who has done (in the past) and does (if different now) your benchmarking in Portfolio Manager? From 1998 to 2014, resource usage benchmarking and management was conducted internally by the CL management team. CL internally developed usage processes and tools to routinely monitor and improve resource usage efficiency. In 2014, working with Latino Energy Solutions and utilizing PEPCO incentives for energy efficiency improvements, CL upgraded 18 stores, primarily with LED fixtures. Latino Energy Solutions is now providing CL benchmarking in Portfolio Manager. How has benchmarking your energy use changed the way you manage your portfolio? What do you do now that you didn’t do before? The benchmarking process has focused management attention and action on managing resource usage. CL management reviews usage monthly on a comparative basis among all 63 stores, and on a historical, past performance basis for each store. These reviews and specific improvement actions at each store are codified as best practices to be implemented and standardized across all of the stores. Papa John’s store at 500 Broad Street in Falls Church, VA.
Have you done anything that drastically improved a building store? If yes, what? The two major improvements that have drastically improved resource usage across all of our Papa John’s stores are monthly scheduled preventive maintenance (PM) actions and reviews, and the use of programmable thermostats across all of the stores. What building’s energy performance are you most proud of, and why? CL purchased Papa John’s Store #850 at 108 University Boulevard in Silver Spring, MD from a previous franchise owner and immediately benchmarked its energy and water usage. The store’s historical resource usage appeared to be dramatically high when compared to other CL stores. Through a series of improvements over the first year of operation in CL, the store’s electricity usage was reduced from an average of 18,500 kWh per month to just over 5,000 kWh per month. What advice would you hive anyone benchmarking for the first time? Focus on the resource usage and making usage improvements, not the cost. Cost is driven by resource usage, and is market driven and not directly manageable. However, an organization can always manage and improve resource usage. One comment on "Benchmarked: A case study from Papa John’s"
Boo-hoo, when did you stop accepting AARP discounts?? Although I’ve never used one before because it’s not as generous as the 50% off for a WIZ, NATS, or CAPS win, no team won Saturday. So, when I tried to get a discount Sunday, the young man wouldn’t accept the measly 25% AARP discount. He even called the Colonel while I was standing there!! Had to settle for something I quickly pulled up on my dying cell phone. And, adding insult to injury, he wouldn’t give any points to my existing 22!